Susanne specializes in international development, especially public policy and development finance, and organizational strategy and leadership. With a decade in leadership and consulting to international nongovernmental organizations, she founded Power of Voice International in 2017. POV is dedicated to communications skills development of civil society organizations in low and middle-income countries in order to strengthen their independence. Since 2010 Susanne has led the Canadian offices of international NGOs including AMREF Canada and Action Against Hunger Canada (ACF). She has also been engaged in technical training and consulting on communications strategies and planning for NGOs and is a founding member of the Canadian Forum for Impact Investing and Development (CAFIID). Prior to her career in international development, Susanne founded and led an award-winning, North American communications consulting firm which was sold in 2009 to a multinational agency. Her professional career began with the Canadian Foreign Service where she was posted to Canada’s embassies in Paris, France and Abidjan, Ivory Coast. 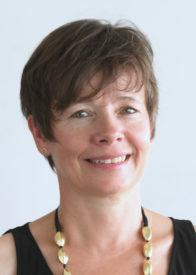 Susanne is committed to social responsibility through board membership and participation on high-level committees including Action Against Hunger, AMREF Canada, The Canadian Film Centre, Grand Challenges Canada, Ontario Cancer Research Ethics Review Board, Women in Development Committee, AfDB. She co-founded the Council of Canadian Public Relations Firms. With English as a first language, Susanne can manage in French as well.